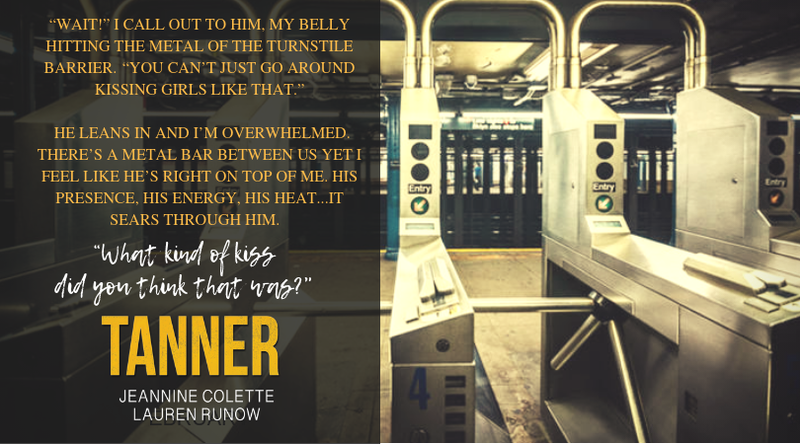 Tanner (Sexton Brothers #3) by Lauren Runow & Jeannine Colette is the story of the baby brother of the Sexton Brothers. At the end of Bryce we get the revelation that Tanner is married which is a surprise. Once that revelation was made I was hooked and was looking forward to this book. I was not disappointed. We get the story of how Tanner met and ended up marrying his wife Harper. We see the struggles he has with trying to find who he is and what he wants to do with his life. He is artsy but he has an obligation to his brothers and their legacy. The relationship between Tanner and Harper was magical. This story was more than I had anticipated. I found myself smiling throughout this story. It was so good that I read it straight through which means I started it and finished it. The ending was the cat’s meow and I am sick this story is over. I hope we will get more books with these characters. 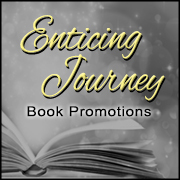 I enjoyed each book and the characters. 5 stars and 2 thumbs up. Tanner is the 3rd and final book in the Sexton Brothers Series. Tanner is the baby of the family only he isn’t much of a baby. He is graduating from college and he is supposed to go back home in San Francisco. We were teased with Tanner in the first 2 books. So, I was excited to finally read Tanner’s story. Tanner meets Harper at a bar. Her ex shows up and she ends up being kissed by Tanner as he rescues her from the ex. She ends up running, Tanner follows her. She runs a couple of times from him. She talks with her father about Tanner and her father encourages her to stop running. Their romance ends up as a whirlwind before they elope. These Sexton men are very supportive of each other. I was very surprised with their father and I if you want to know what happened you will have to read Tanner. 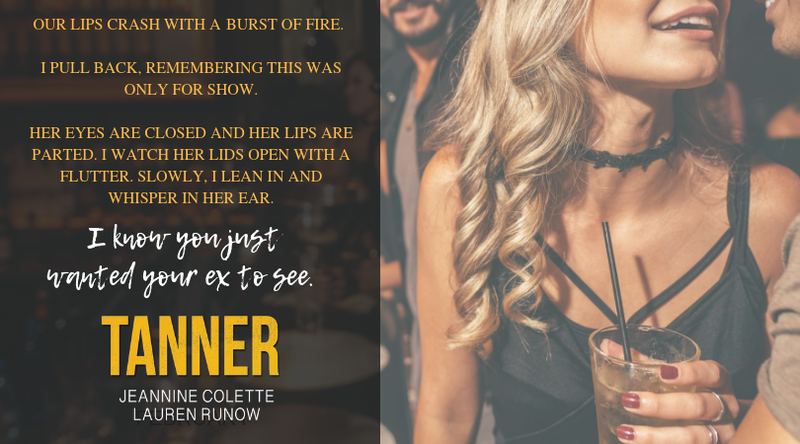 I loved reading about Harper and Tanner and even though this is the end of the series I hope that these 2 ladies, Jeannine Colette and Lauren Runow will get together to give us more stories. They write so well together. 5 stars for Tanner.